Note: This product does not contain batteries. Two 18650 batteries need to be purchased by yourself. They can be bought at the local hardware store. 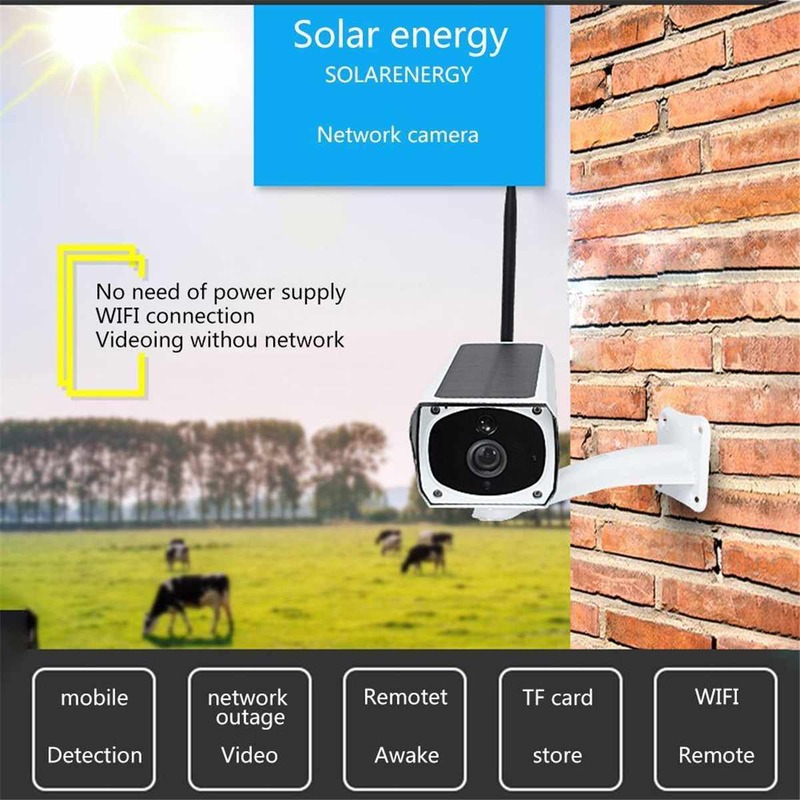 Low power Solar Wifi Bullet Camera is the product that uses industry-leading low power solutions. 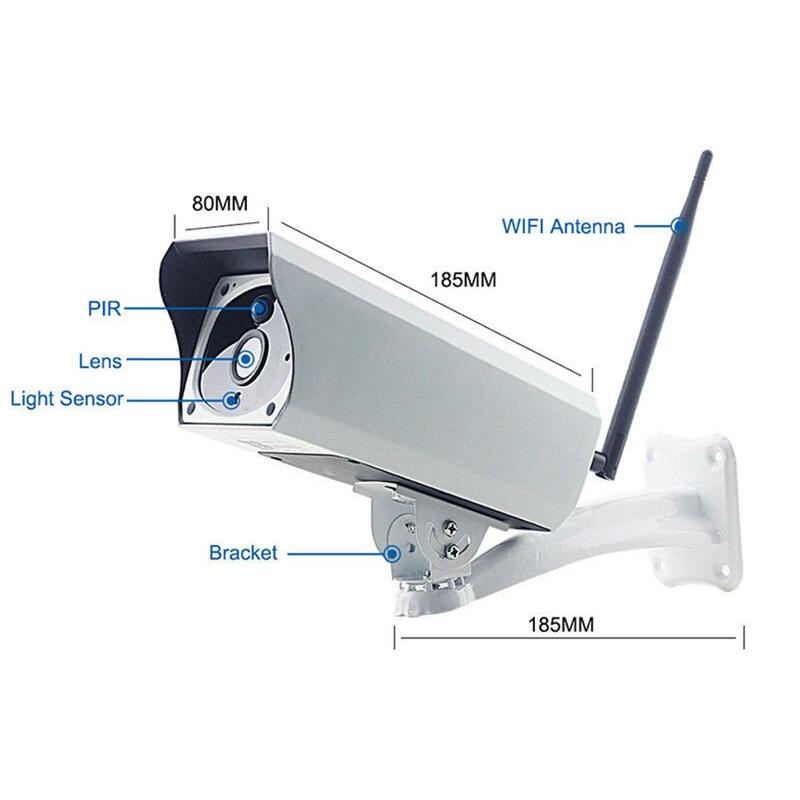 It supports two way audio, PIR alarm, high resolution, night vision, control remotely. 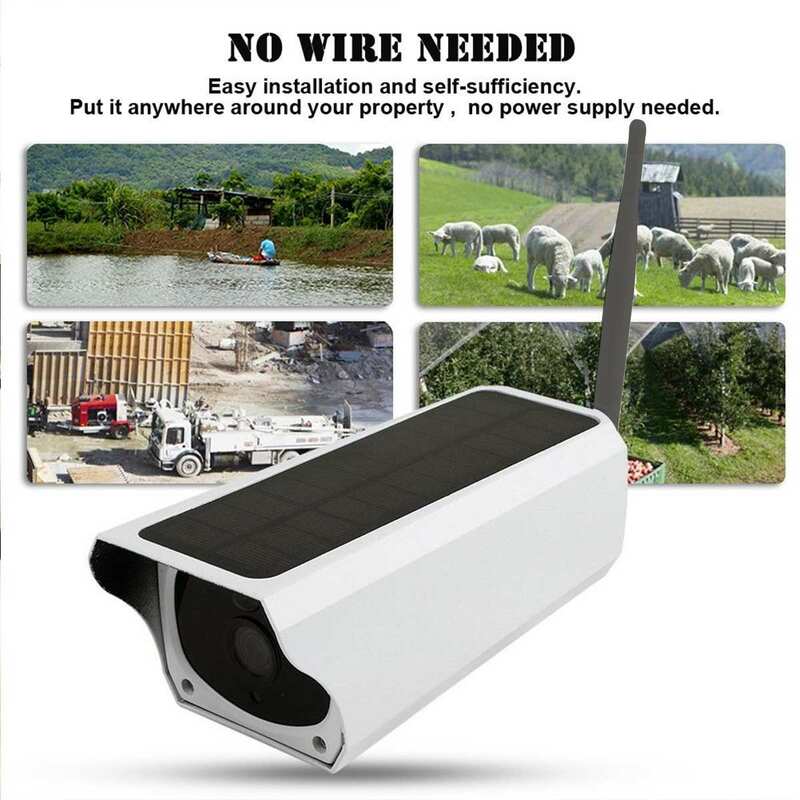 - No Wire Needed: The latest development of surveillance technology: intelligence, easy installation and self-sufficiency. Put it anywhere around your property, no power supply needed. This intelligent system promotes property monitoring to a new level. Instant video and audio streams are accessed anytime and anywhere. - Solar Energy: A day's sunshine keeps the camera running for 5-6 days. This unparalleled performance is achieved by integrating batteries, solar panels and intelligent standby mode. - Monitoring battery power. 3.7V 18650 rechargeable lithium battery and powered by a solar panel, it can be used for cycle charging, long standby. Backup battery storage, monitoring without charging. 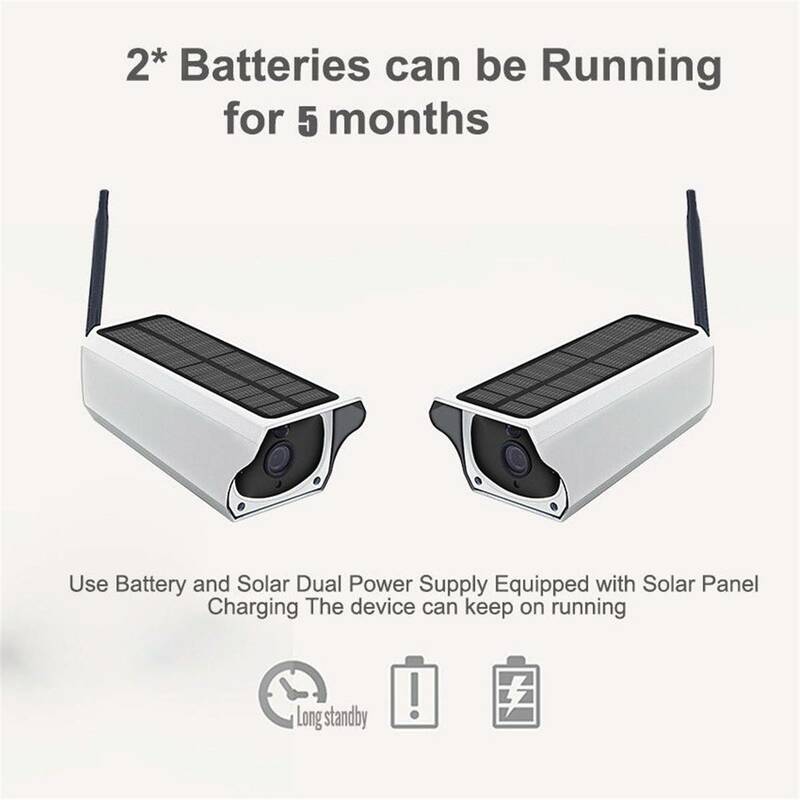 It can be used when there is sunlight outdoors, and it can also use USB external charging. 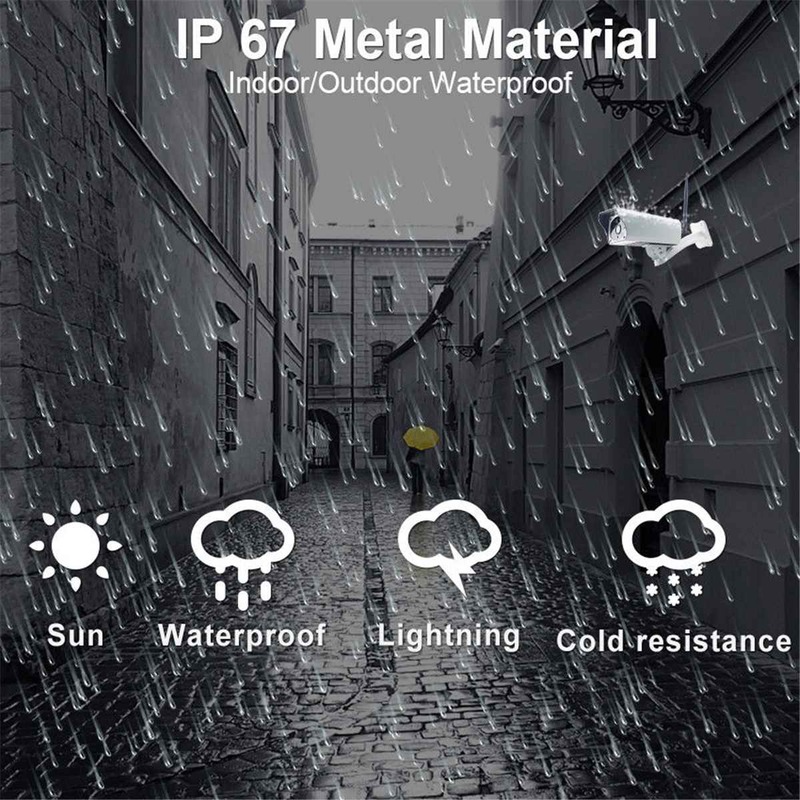 - Good Performance: Waterproof and moistureproof, it can get energy from the light to increase the battery life even in the rain day. Don't worry the bad weather outside the door. - Remote control. Users can also initiate monitoring outside, open the APP to view the cameras and monitor the pictures in real time. Infrared night vision. 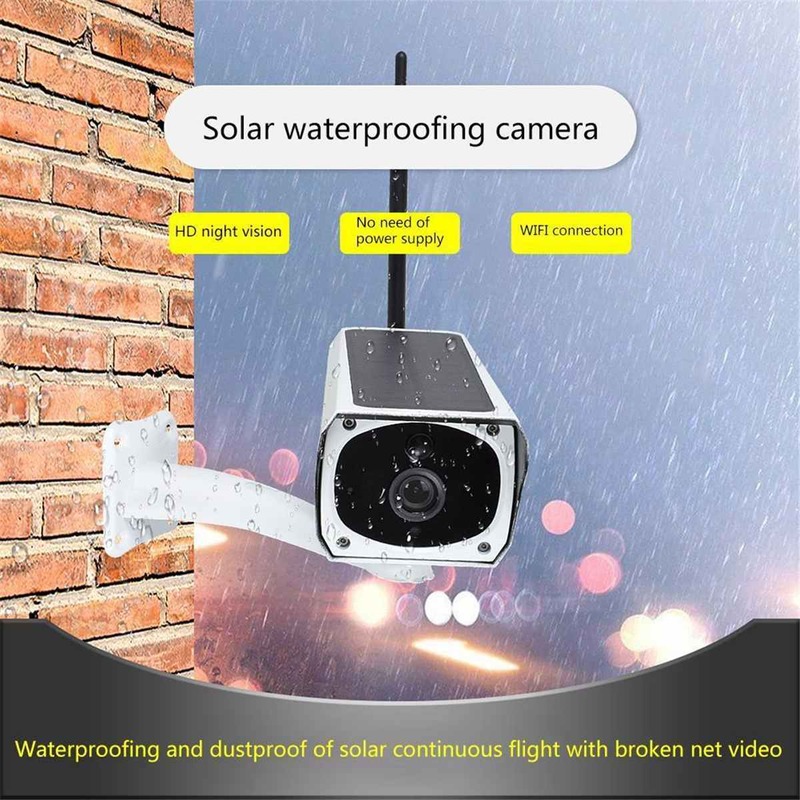 Built in high-quality array infrared light, 8 infrared lights, can see clearly in dark night. - TF card storage. TF cards can be inserted to store event snapshots and image. Maximum support for 64G storage card cyclic storage. - PIR detection. 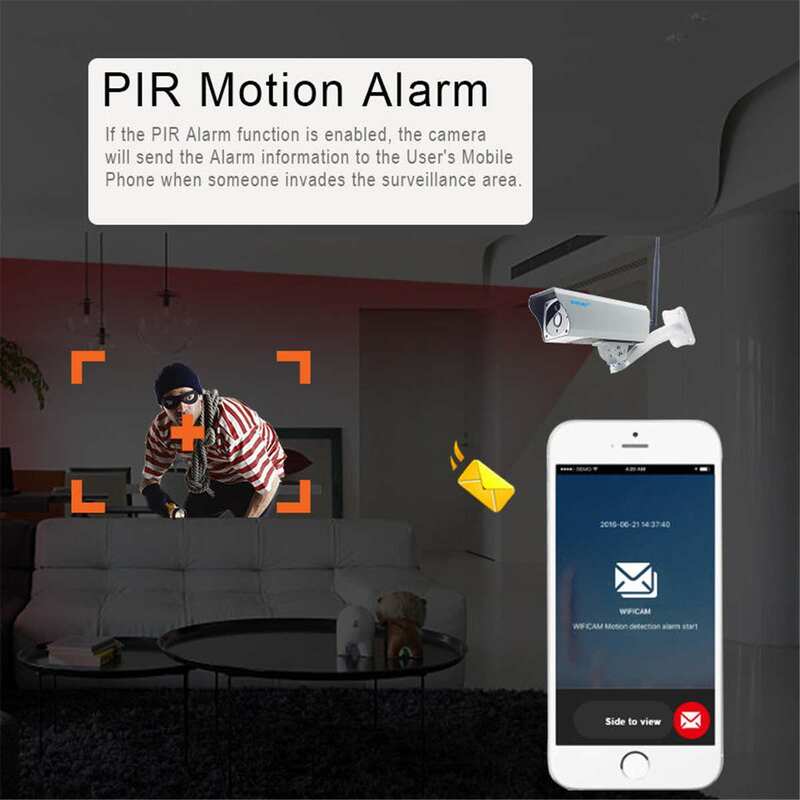 Users can choose to turn on/off the PIR detection alarm function, turn on the PIR detection function, when someone is found to intrude into the monitoring area, the camera will actively push the alarm information to the user's mobile phone. - Dis-net video. After the device is configured with home Wifi, if there is no network situation, the device PIR alarm function and video function can work normally. If there is no network, the APP won't be gotten messages from the camera. 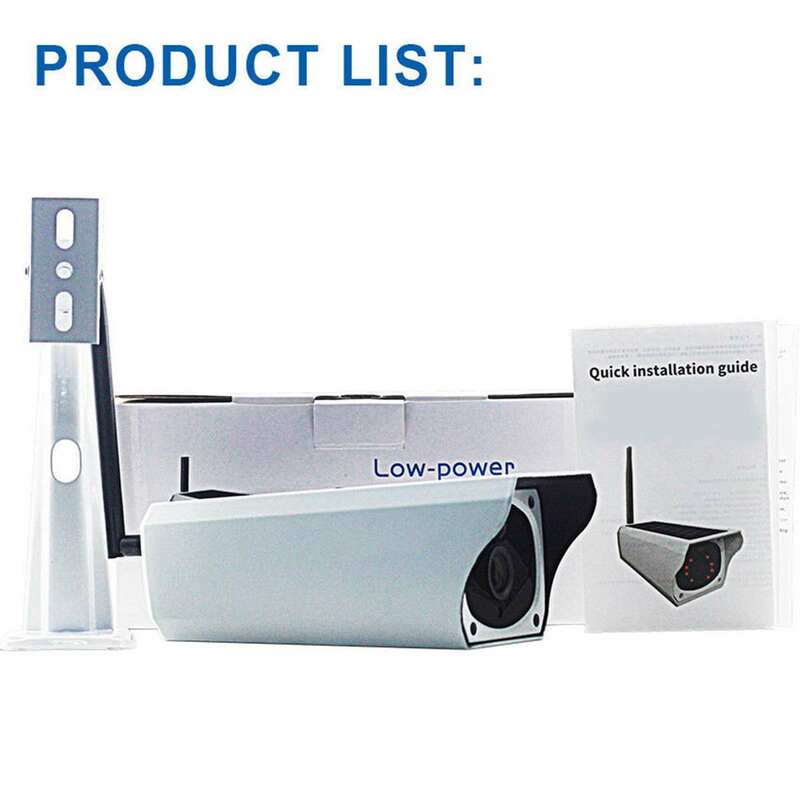 In no network environment, PIR alarm is triggered after the video can be connected to the network, video files can be found and play back, please refer to the video playback function introduction. - Low power prompt ADC automatically collects battery power data, when battery power is too low, it will push reminder charging information to the user's mobile phone. - The WIFI is connected with the built-in WIFI module, and the WIFI signal reception range is 50 m +. - 8 infrared lamps, the wavelength is 850nm, the effective distance is 10 meters. - Simple and easy to use. Intelligent online audio pair code, LAN search and two-dimensional code scan to add a variety of online mode. - User can add multiple cameras to realize multi-device monitoring, or a camera can be monitored simultaneously by multiple users. It can support up to 4 users to watch video online at the same time. 5.Audio Coding: G726, G711, AAC, MP3 format, 8K sampling rate, echo cancellation function. 12.Network Protocols: P2P, TCP/IP, HTTP, TCP, UDP, SMTP, FTP, DHCP, DNS, DDNS, DNS.